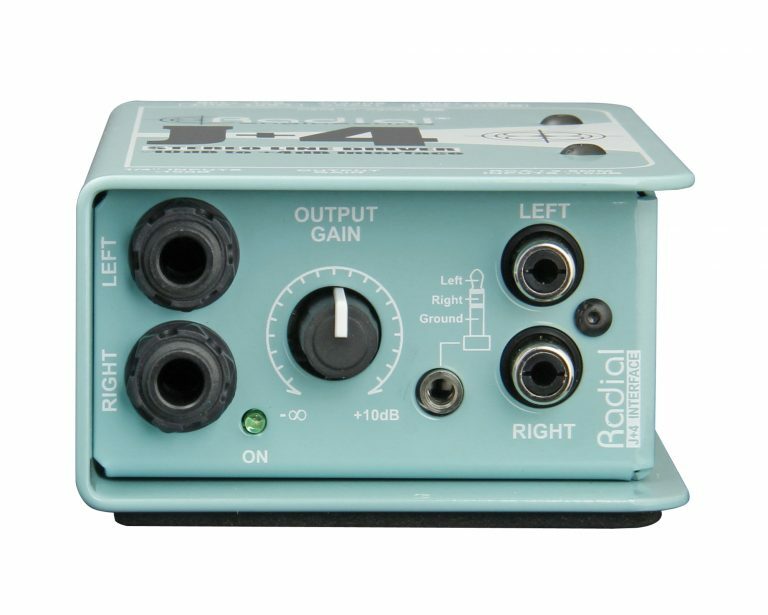 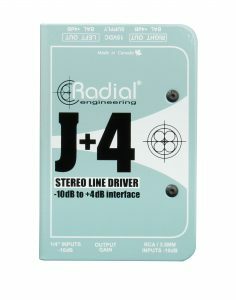 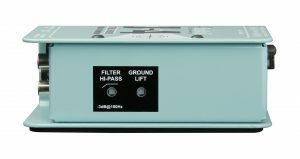 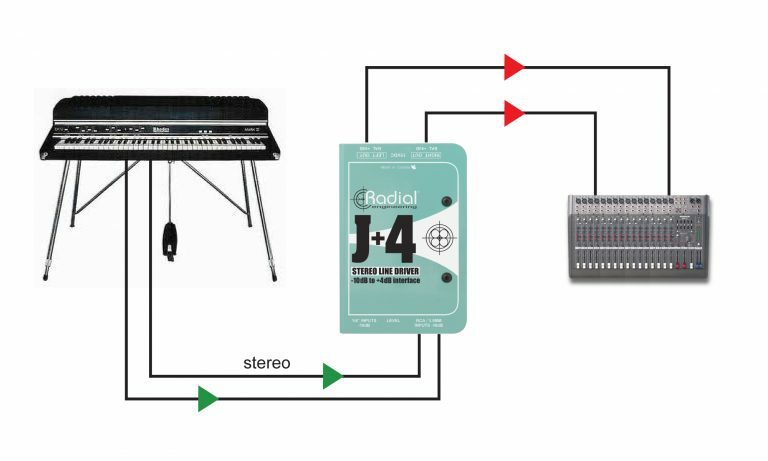 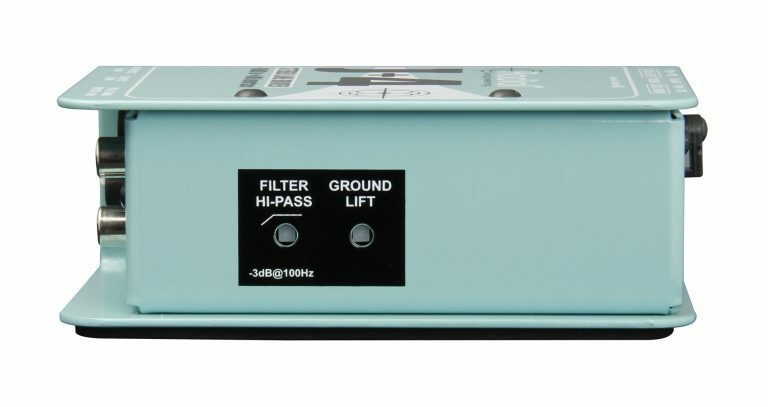 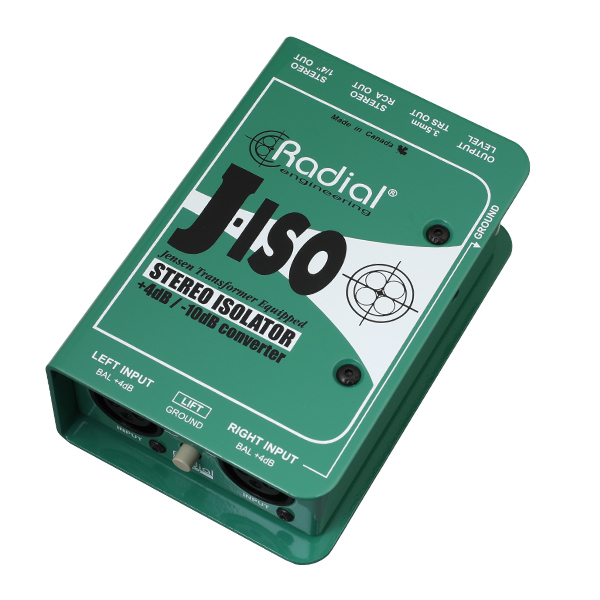 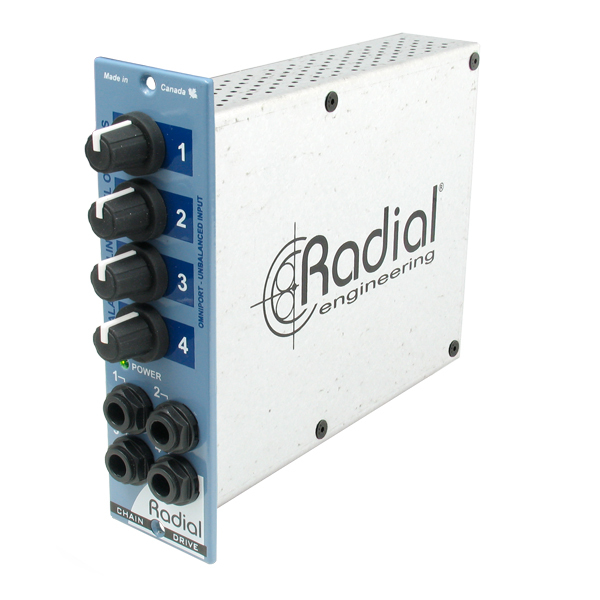 The J+4™ is a stereo interface designed to accept unbalanced low output devices such as instruments, computers or mobile devices and boost their signal to a balanced +4dB level for connection to professional audio recording and playback equipment. 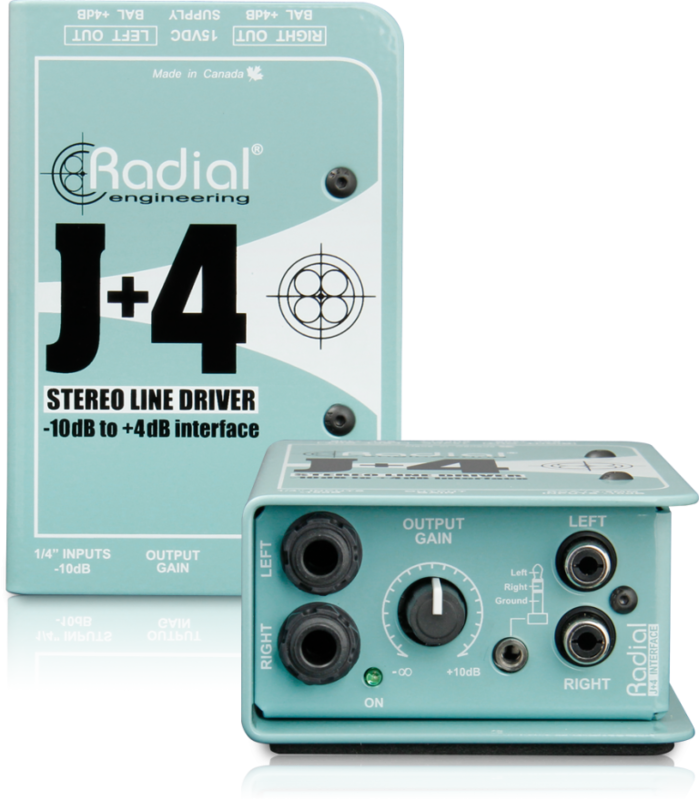 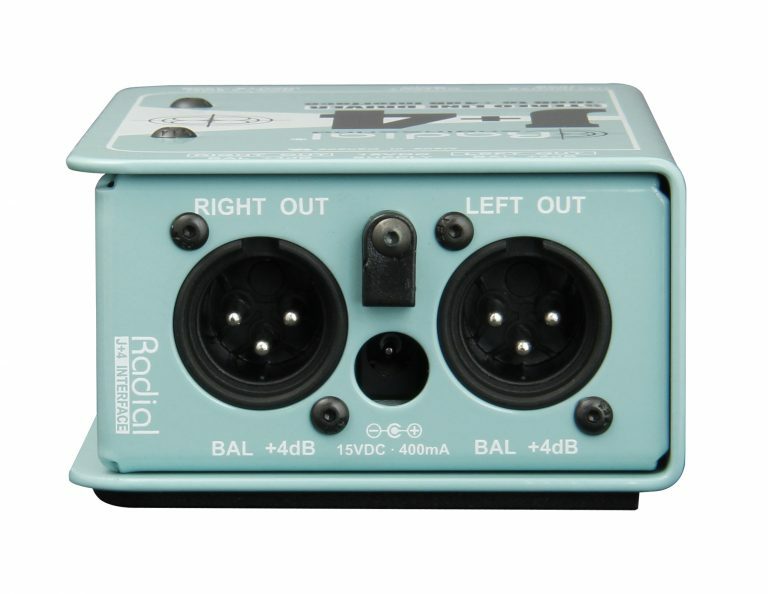 The J+4 allows you to boost nearly any stereo signal up to a +4dB balanced line level output, which can be sent over long distances without signal loss and connected directly to pro audio equipment such as mixers or recording interfaces. 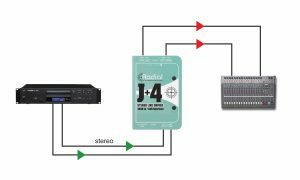 Multiple input connectors are available for integration with a variety of devices, including a stacked set of ¼" jacks for DJ mixers or keyboards, RCAs for CD players and a mini 3.5mm jack for smartphones and tablets. The J+4 delivers exceptional sonic performance, and is able to provide clean gain and eliminate noise by combining the advantages of active signal buffering with transformer isolation. 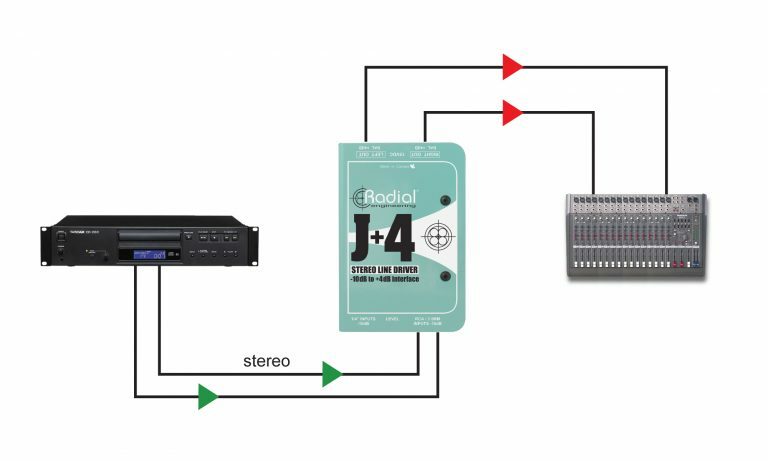 Increasing the output from a CD player to a +4dB balanced signal is easy. Just plug into the RCA inputs, adjust the volume level and the J+4 does all the work. 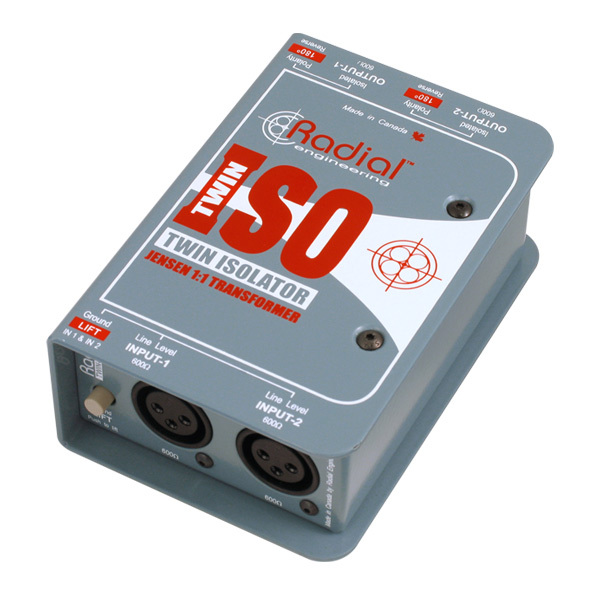 Transformer isolation eliminates ground loops for quiet performance every time. 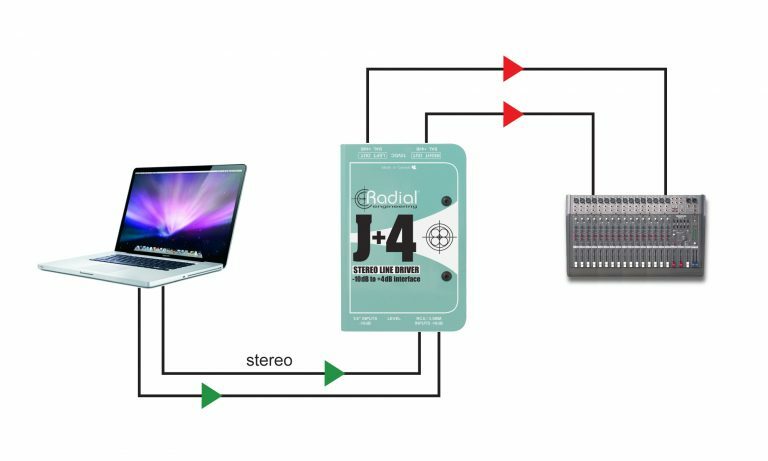 Today, computers and laptops are being used in all types of audio-visual systems. 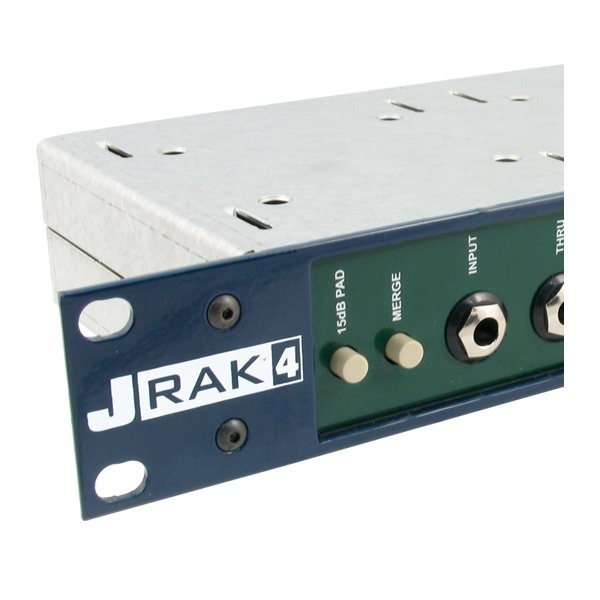 The J+4 makes it easy to interface with a built-in 3.5mm (1/8") TRS jack. 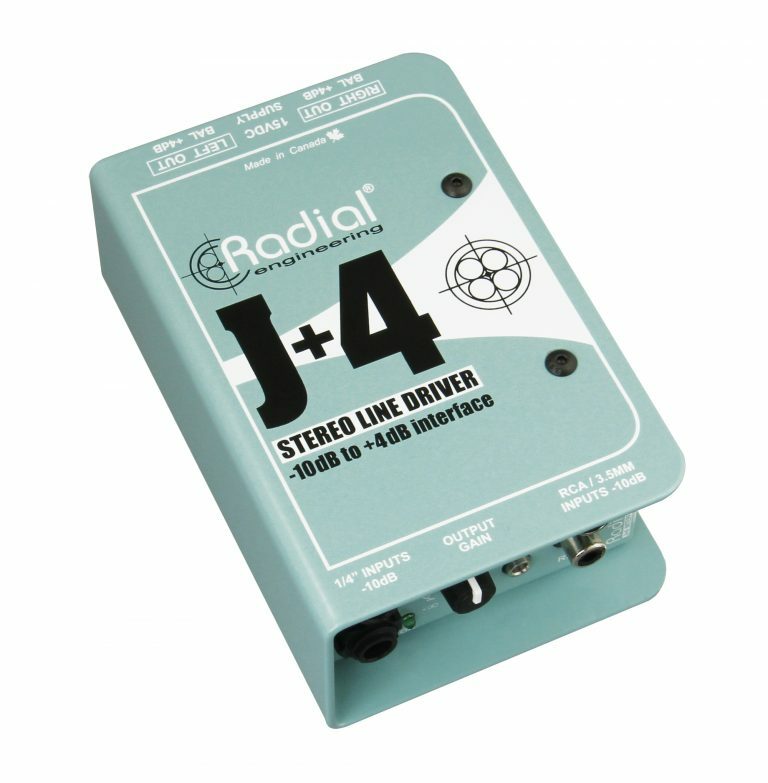 Plug in and the J+4 will boost and balance the signal and deliver a professional line level signal. 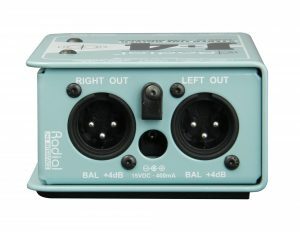 Many keyboards and synthesizers do not have enough output to effectively drive the line level input on a mixer. This is particularly troublesome on older keyboards such as a Rhodes piano. 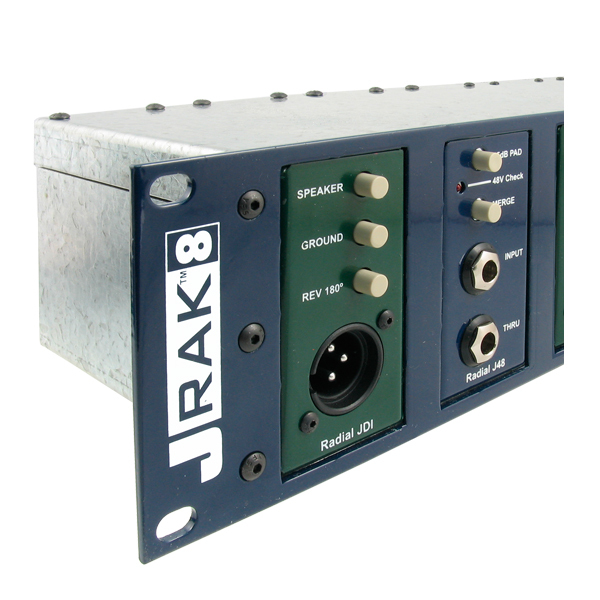 The J+4 makes it easy with built-in ¼" inputs and balanced XLR outs. 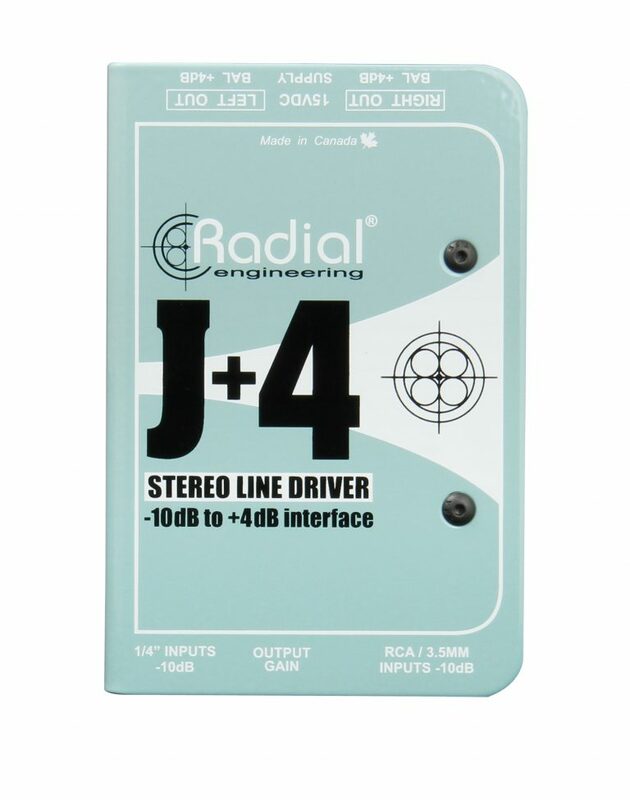 "The Radial J+4 sounds great, is well built and practical. It seems like somebody actually thought about making a good product and then actually did... Great stuff!" 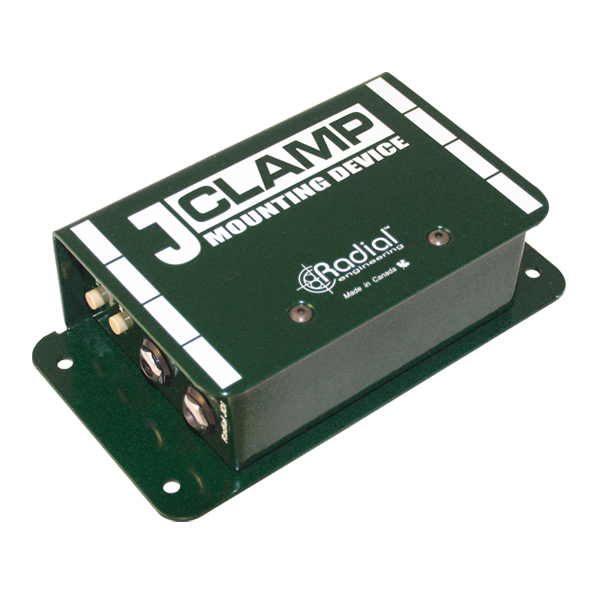 The J-Clamp is used to secure most other full-sized Radial products to a desk or install application.